As part of a systems management strategy for Windows 10, many organization may choose to uninstall Universal Apps. During OSD for ConfigMgr, this uninstall process use a simple PowerShell script (as shown below) to execute the commands for removing the targeted Universal Apps. While this does command does “remove” the Apps as seen in the event logs (Apps and Services > Microsoft > Windows > AppXDeployment-Server) the Apps are regenerated upon the first logon of a user. Furthermore, there is an option (UniversalAppUninstall) within a WICD Provisioning Package. There are times when this option would be a better approach, but I have not been successful in having it function to uninstall Apps. Unfortunately, information is scant on this topic. Stumbling around for other who may have found other means to address this situation, Jörgen Nilsson (Microsoft MVP) has a PowerShell script which does completely remove those undesired Universal Apps. The key difference is that his script uses the Remove-AppxProvisionedPackage cmdlet against the full package name. 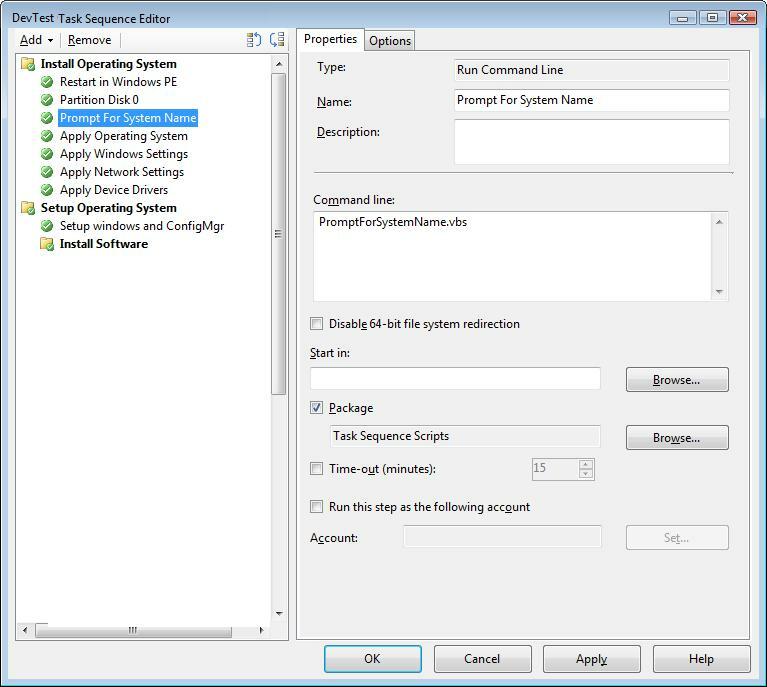 To execute the script as part of a Task Sequence in ConfigMgr, it’s as easy as having placing the script file in a classic Package, and having the step “Execute PowerShell Script” with the Bypass option set. This entry was posted in ConfigMgr, Windows 10 and tagged PowerShell.